Today at the Box Dev 2015 conference, held in San Francisco, we announced a key partnership with the storage and file-sharing service. It will bring a connector to Appcelerator Arrow, allowing mobile developers to build apps with open doors to data stored on Box. 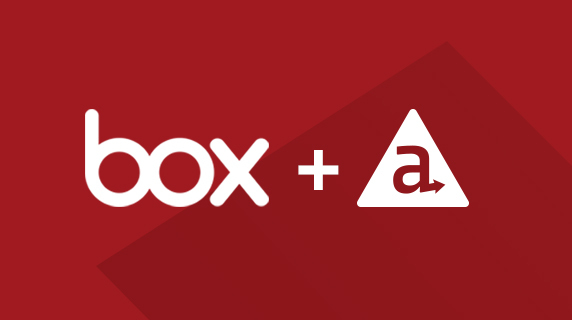 That means any Appcelerator-powered app can now be integrated directly with Box, giving users access to their Box data on their mobile devices without ever having to leave an app. This will arm developers with another tool in their kit to help them deliver rich and engaging mobile experiences. This is huge news for us, but more importantly it’s part of a larger trend in how enterprises are accessing their information. Many of Box’s millions of users work at enterprises that rely on the service to store all sorts of information — private and public, mundane and mission critical. As we move into the post-Web world where mobile’s “always on” paradigm reigns supreme, it’s vital that mobile users have access to all of their information—no matter where they are or what platform they’re using. This partnership is a key part of Box’s push to transform how businesses share, manage and collaborate on the valuable corporate information they store on mobile devices. It’s also a cure for one of the largest challenges faced by mobile developers: connecting to and orchestrating data from a wide range of backend sources. Apps today require data, and lots of it, to deliver high-quality, valuable experiences to users. But it’s not easy for mobile developers to integrate data into apps. That’s the problem that Arrow, our new opinionated framework for building and running mobile-optimized APIs, is helping solve. Box is the latest Arrow connector joining others such as MySQL, Azure, SQL Server, Salesforce and MongoDB. Appcelerator’s customers, partners and developers have already embraced our Arrow Connectors, and we’ll be revealing many more in the near future.